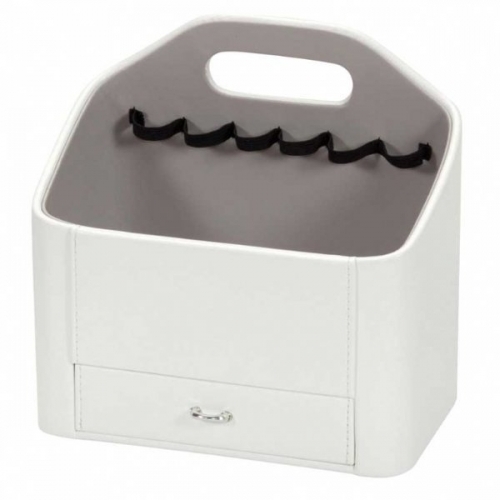 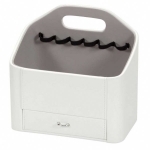 This white leatherette Claire cosmetic holder comprises of one large compartment with 6 elasticated holders for makeup and perfume storage. 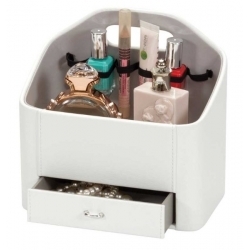 In addition there is a drawer to the base and it's finished with chrome tone drawer pull. NOTE: makeup and perfume are not included.